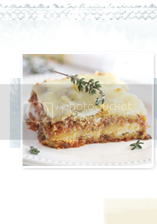 Do you need a last minute Easter appetizer?? Well, look no further! 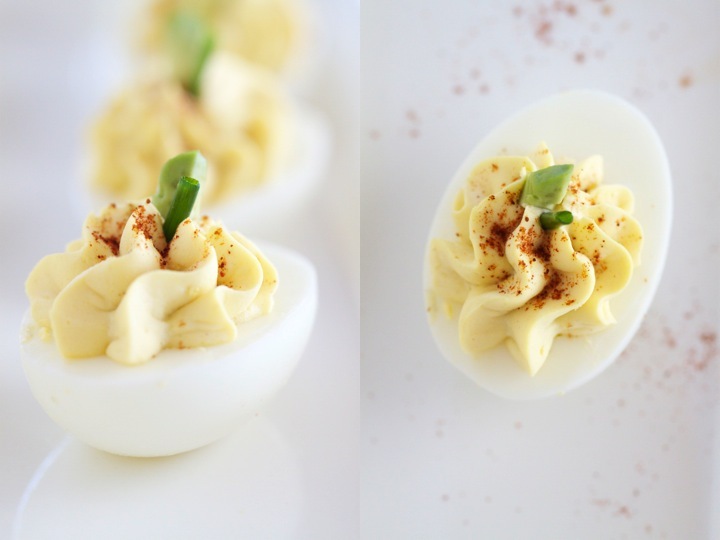 Yes, most of us have had the creamy dreamy egg appetizers that are deviled eggs! To me they are heaven! I adore every last bite of these savory egg cups. I've had so many different variations, and am never too impressed. Usually they lack flavor and attitude. I do like traditional deviled eggs but everyone likes a little pizazz right every now and then, right?! Surely we all love food that is not particularly low fat. Healthy foods are usually the first foods I gravitate to, but these deviled eggs are definitely my weak spot. I find adding a little (or a lot!) of cream cheese really kicks them up a notch! You can make them extra fancy by piping the yolk into the centers and garnishing them with sliced chives and avocado. Some of my other favorite garnishes are sun dried tomatoes, tomato, bacon, red bell peppers, or even sauteed mushrooms. Although the list is really endless! I hope everyone has a very happy and safe Easter!! Carefully place the hard boiled egg yolks in a medium bowl and the hard boiled egg whites on a large plate/platter. In a medium bowl mash the yolks until mealy. Add the mayo, white wine vinegar, dijon, salt and cream cheese. Mix until thoroughly blended. Pipe (or spoon) the yolk mixture into the egg white halves. If piping, I used 1M tip but any tip works great. Sprinkle with paprika and top with avocado and chive slices. Serve immediately or store until ready to serve. 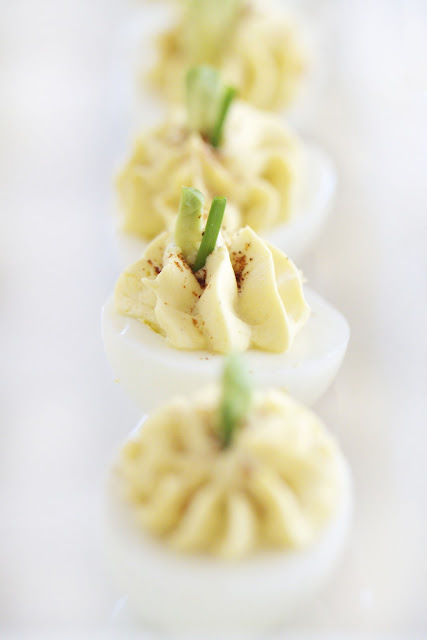 I'm not a huge fan of deviled eggs but they are a must-have at Easter. I love the addition of cream cheese! Happy Easter, Katie, to you and your family! Devilishly good I'm sure. One problem, I don't like deviled eggs:(. I don't even like Angel food cake.LOVE YOU Bill. Katie, I hope you and your family had a wonderful weekend. Those look very tempting and pretty! I love this retro/classic treat. Really enjoyable. I hope you had a lovely Easter with your family. Thanks Rosa! :) I hope you had a lovely Easter too! Deviled eggs are one of my favorites! Dijon gives them a great bite. Beautiful photographs! i've been thinking of making deviled eggs! they are so retro, but also a classic! i'll try your version and blog about it! 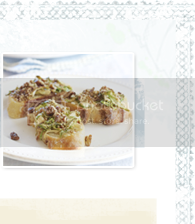 thanks for sharing your favorite recipe. It's been so long since I've had deviled eggs. Your version looks delicious and so sophisticated Katie! I hope you had a wonderful Easter. I love the addition of cream cheese here...and they are just so pretty!